Charlotte Jazz Festival Returns with More Music and New Features! 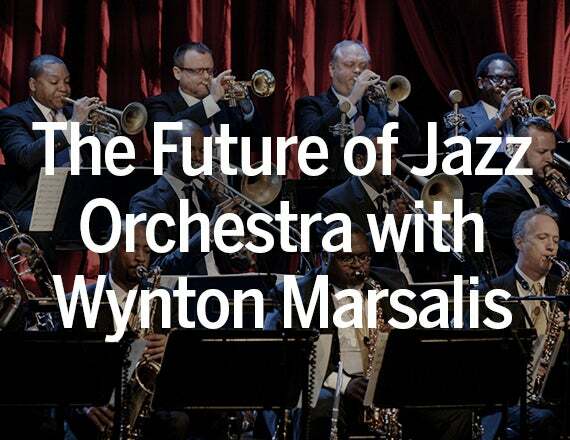 In fact, Charlotte audiences will get a chance to preview Wynton Marsalis with the Future of Jazz Orchestra (Friday, May 2) even before its New York premiere! This concert features an all Duke Ellington program, spanning from his early hits to his later suites. Marsalis, bassist Rodney Whitaker, trombonist Wycliffe Gordon, and saxophonist Dan Block will lead 16 of the best up-and-coming professionals—many of whom got their start through JLCO’s Essentially Ellington Program for High School students—in this high-energy performance. Camille Thurman, who has been compared to Ella Fitzgerald when she sings and to Dexter Gordon when she plays tenor sax, kicks things off (Wed, May 1). She’s joined onstage by the Darrell Green Trio with guest appearances by trumpeter Wynton Marsalis. JLCO members Carlos Henriquez (bass), Kenny Rampton (trumpet), and Paul Nedzela (baritone sax) appear each with their own individual combos as a triple bill (Sat, May 4). Stay for all three shows or come and go as you wish with one admission price. There will be more continuous music under the tent other nights too, including a Latin Jazz Dance Party (Thurs, May 2) and an all Blues line up (Fri, May 3). You can also start your day off with the Saturday Morning Jazz Brew (Sat, May 4), hosted by internationally recognized musician Ocie Davis, who serves as Artistic Director of Charlotte’s own Jazz Arts Initiative. Last year’s popular Late Night Jam Sessions return to the basement of Knight Theater Friday and Saturday nights. “It’s a very cool speakeasy environment,” says Gabbard. The New Orlean’s style Second Line Parade, a perennial favorite returns too, with a new time slot (Thurs, May 2 at noon.) “We’re hopeful that workers will pour out of those office towers and join the second line,” says Gabbard. Enjoy lunchtime and happy hour shows throughout the week at the Levine Outdoor Pavilion with performances by some of the leading local and regional artists. And speaking of local stand outs—don’t miss the finals of the Loonis McGlohon Young Jazz Artist Competition under the Jazz Tent at Romare Bearden park (Sat, May 3).